Just a few thoughts on Packing. Like in a suitcase to go away. Be it a weekend or week or longer. I’ll have to try one of those “longer” ones someday, like in retirement. Anyway I was thinking about how packing can be both exciting as hell and stressful and worrisome at the same time. And it can feel entirely reversed packing returning from a trip. One way I’m always nervous I’ll forget something and coming back I’m afraid I’ll leave something behind. Before packing to come home this morning I did my normal bike ride before dawn. I thought about it a bit because it looked like all hell was going to break loose in the sky. I don’t care about getting a little wet at the beach even if it isn’t in the water. But it held off and the sunrise was on the agenda. 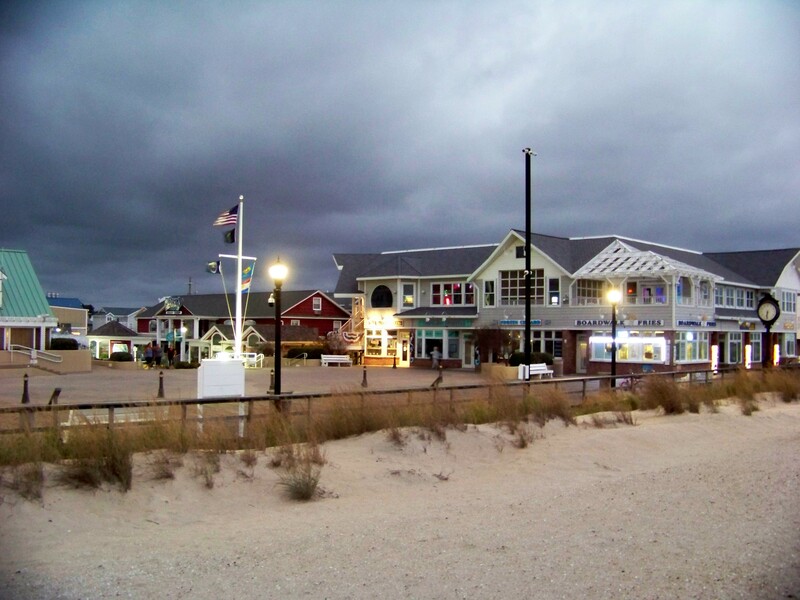 Thursday morning before sunrise at Bethany Beach. Well this mornings sunrise was a disappointment to a number of people there on the beach for the event. Because it fizzled as quick as it started. It was about a 60 second sliver of orange light that quickly disappeared behind the clouds. About the time it took the guy below to enter and leave my field of view. No problem though because I soaked up every second like it was my last. And it is for some time, being my last morning at the beach for a bit. Yes, you can rest easy knowing I only have a finite stash of beach photos left to share. I was a nice time and very needed. We ate well, caught many rays, laughed, sang happy birthday to a best friend. I got up early and rode the bike every day for hours, sometimes with the group and sometimes alone. I went on a few good walks on the beach. I stretched and exercised a little bit. The bike rides kind of takes me back to my youth. A single speed big frame wide bars and bigger tires. You know the beach rental type. I spent a lot of time on the bike when I was young. Riding with friends. Delivering newspapers. Riding to work. Riding on courses through woods that we set up with ditches and jumps. NOTE: our bikes back then didn’t have shock absorbers. I might have to hit a bike store and take a peak at some options. Trouble is riding at home around here is dangerous with all the traffic. Even in the off hours. And I’m not into that trail riding off-road. I’m older and don’t need to be falling over some tree root. But I did know that as I walked back from the bike rental place that a bike was in my future again sometime. We got home last night and unpacked. Pretty smooth running operation now between my better half and I. Not that we are seasoned travelers by any stretch of the word but we plan fairly well. So the suitcases get stashed away again till the next trip. Probably sometime next year I imagine. 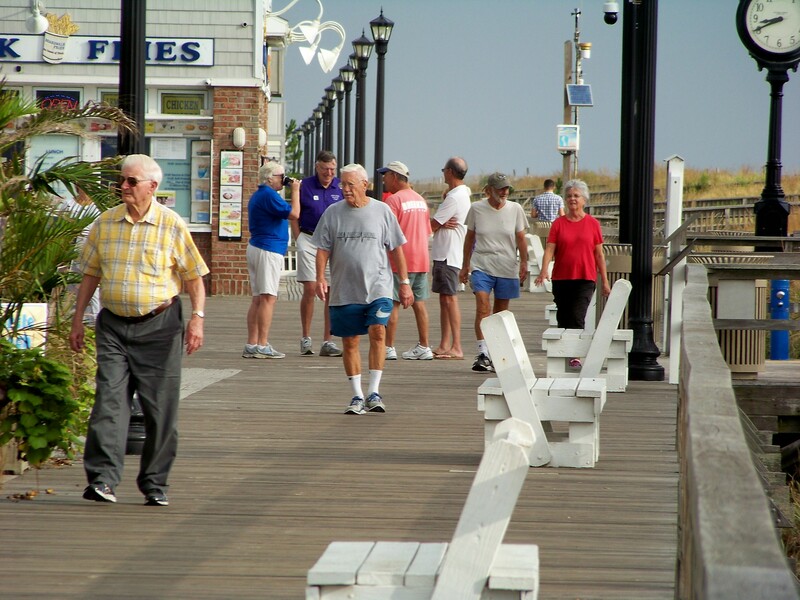 As I drove home yesterday I thought about how I envied the men each morning out walking the boardwalk at Bethany Beach. Most I’m guessing are retired residents. At least the faces seem familiar. 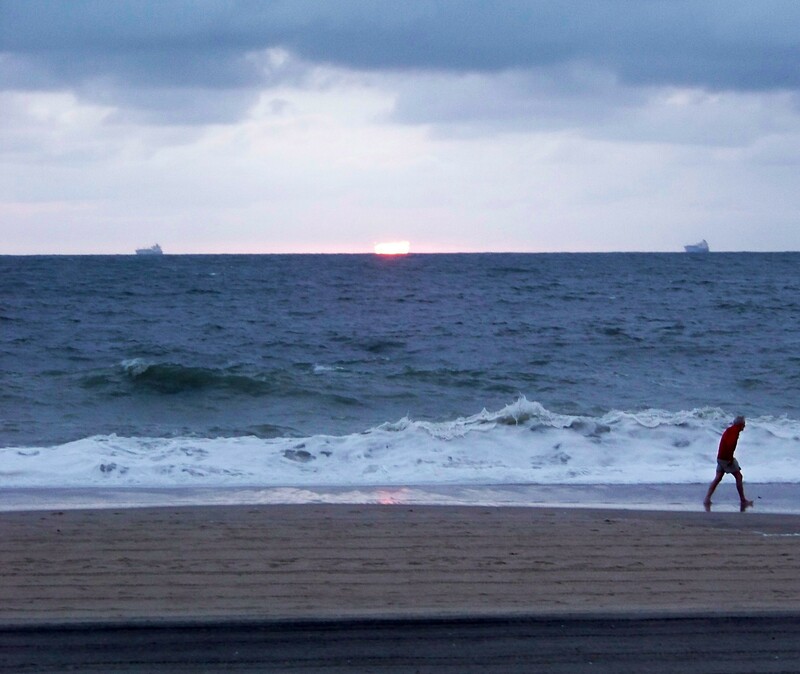 To get up and watch the sunrise over the Atlantic each day. To be out enjoying the fresh air. Not a cell phone in any hand to be seen, just people talking walking and exchanging a pleasant hello and good morning and how are you and small groups of people chatting and laughing. Morning strollers on the boards. But then again I caught a few conversations that made me glad I was visiting and returning home and to work. Those two included someone who had been away for a long period recuperating and looking very frail. Also another saying that a friend wasn’t going to be joining them anymore. And I realized while this looks attractive on some level, I’m in no rush to be 10-20 years older suddenly and changing places with them. I’m baffled sometimes at how people choose to run a business. But again its their business and their choice. I’m very disappointed in myself for missing yesterdays post. The grass is long. The mower is ready. I must take my seat on it and do battle with mother nature.